The Lock & Lock 1lt Measuring Jug is ideal for storing a variety of beverages from water to cold drinks. 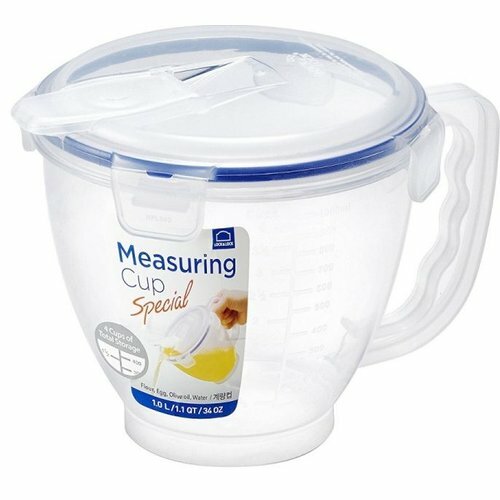 This Measuring Jug will allow you to store and pour drinks without any leakage, as it is 100% air and liquid tight. Maintenance and Care: Open lid before using in Microwave. Only use Container in Microwave for reheating purposes and do not keep Container in Microwave for longer than 3 minutes. Do not use in Oven or under a Grill. Do not use an empty Container in the Microwave. Keep away from fire. Do not use abrasive cleaners or scourers when cleaning Containers.